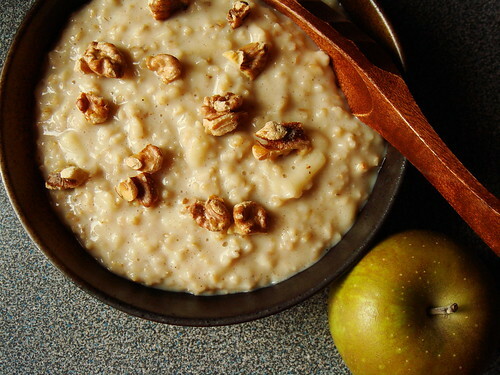 If you’ve tried steel cut oatmeal, you would never go back to old-fashioned rolled, quick, or instant oats…except for one caveat. The taste is superior for sure but the amount of time it takes to cook the oats is absolutely unrealistic for busy mornings. Thanks to America’s Test Kitchen, I now know of a great way to cook steel cut oats in five minutes amidst routine of morning chaos. This is one of the best recipes I got to test for upcoming issues of Cook’s Illustrated. As a member of Friends of Cook’s Illustrated, I receive recipes in my inbox from America’s Test Kitchen to test. Sometimes the recipes are not typically what I would cook and sometimes the cooking directions are a little unconventional. However, it is always exciting to see what’s coming up in future issues of the magazine. There were only a couple of occasions when time constraint or limitation of ingredients prevented me from trying out the recipes. 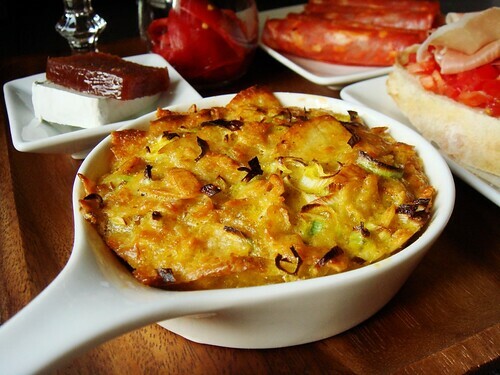 As much as I love the more complicated recipes, I am most fond of new and improved ways of making old favourites. Turkey makes many appearances at Canadian Christmas dinner tables. I always associate the festive bird with Christmas and only recently did I realize many of our southern neighbours think it’s odd. It’s no wonder. With American Thanksgiving still fresh in memory, the thought of having turkey AGAIN is not exciting to say the least. You see, for us Canadians, the last turkey feast was way back in mid October. It’s been long enough to crave turkey again. With turkey comes leftover, obviously. Roasted turkey sandwich is a popular option but I do like to fancy it up a bit. 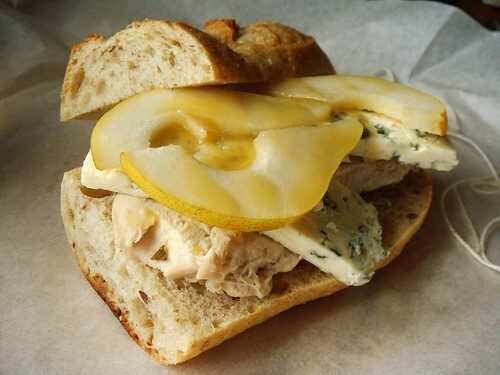 Roasted Turkey Sandwich with Pear, Blue Cheese, & Honey is a combination that I particularly love. I’ve accumulated so many backlog material to write this week entirely beyond my intention. I spent far more time in the kitchen or with my camera than in front of my computer in the last few days. Due to a malicious virus attack, I lost my entire hard drive in one fell swoop and I’ve been busy recovering files since. The damage of lost data is kept to minimal since I did a thorough back up in early August and incremental back ups are available online. It’s tedious work but the silver lining is an oddly liberating feeling of ridding my computer of many outtakes from photo shoots. Though not by choice, I now only have files of the best shots from a large collection. So much for misleading you into thinking about holiday cheers! Well, actually, I do have plenty of that to share. As per my annual tradition, I prepared homemade gifts for friends and families. I’m still feeling the aftermath of cookie burnout from my fundraiser effort of 70+ dozens. 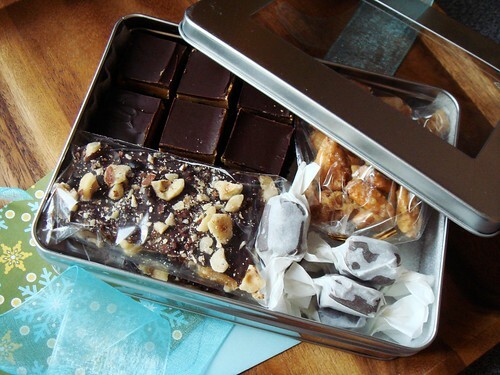 Rather than a huge production of baking extravaganza, I scaled back this year to five recipes of homemade candies. My success with confectionary last year gave me confidence and experience to make a few crowd pleasers on short notice. Welcome back, Candy By Candy! Overcooked custard is a shame, a waste of quality ingredients. If I go through the trouble to procure organic cream, whole milk, and duck eggs, I have every reason to give them the attention they deserve. 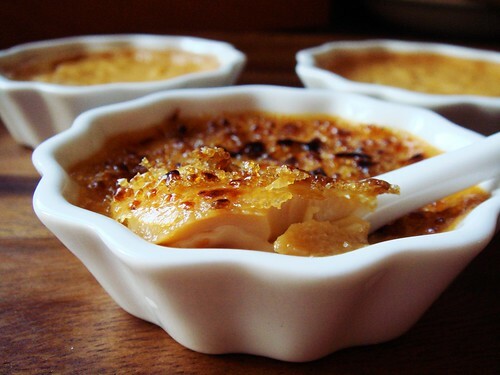 Unfortunately, undivided attention was exactly the missing ingredient when I made crème brûlée from Dorie Greenspan’s Around My French Table. A scheduled 60 minutes of baking time in a low 200F oven stretched into a 6 hour marathon. In the mean time, I was sound asleep totally oblivious to the transformation inside the oven. 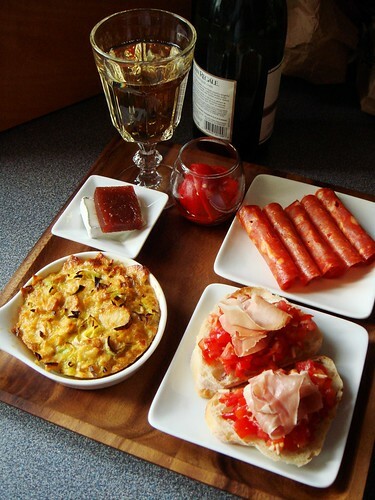 So did I cheat this week by cobbling together an enticing photo with food styling tricks? No. Did I crumble under the shame and made the dessert again? No. What I have is in fact the most accidentally perfect crème brûlée I can imagine. From the silky smooth custard to the thin crackly caramel top that shattered under the tap of my spoon, this dessert is textbook perfect, except for one minor detail. The allure of homemade bread goes further than having my house smelling like fresh bread. The quality ingredients that I use and the endless combination of flavours mean I make bread that simply can’t be bought from commercial bakeries. This weekend’s Banana Maple Pecan Buns are the perfect example. When was the last time you encounter yeast bread made with banana puree? These glossy mahogany buns have beauty much more than skin deep. Let me count the goodies that went into the dough: banana puree, pecans, jumbo sundried red grapes, maple syrup, cocoa, cinnamon, and ginger. 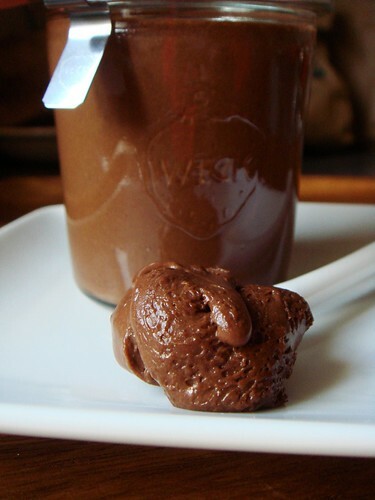 They taste as indulgent as it sounds yet at the same time there is a hearty quality about them. 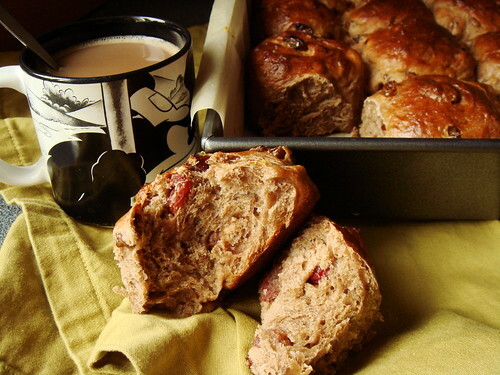 These Banana Maple Pecan Buns are great way to start any morning along with a mug of coffee-spiked Ovaltine. I’m proud of the constant parade of food coming out of my kitchen but I hold myself to high standards. Obviously I enjoy almost all the things I made but I don’t recall too many instances which a bite would induce the involuntary “mmm” complete with my eyes closed. Last weekend, that magical mmm-worthy moment happened not once, but twice, in the form of two tonkatsu dishes. I still can’t stop thinking about them. yoshoku banner, Japanese take on western food. You often see them as part of a bento. 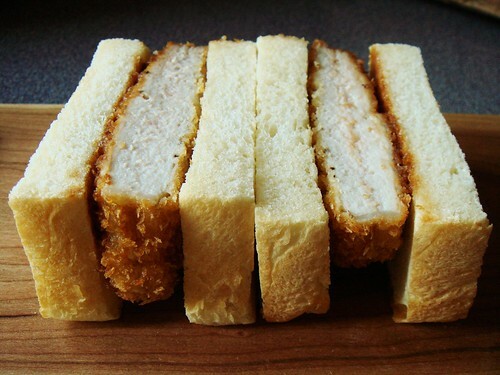 To me, tonkatsu is a delicacy that ought to take top billing when done right. I’m talking about thick, tender, juicy pork chops enveloped by crispy blanket of panko. 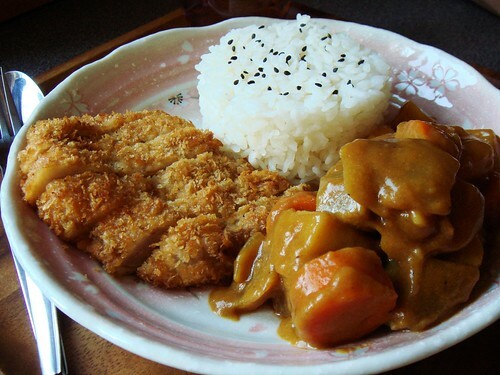 In Japan, it is common that a restaurant specializes in only tonkatsu. Alas, my last encounter with tonkatsu was at Ginza Bairin’s outpost in Hong Kong over a year ago. It’s been honestly much too long. After an over-enthusiastic shopping spree at Costco, I found myself with eight too many centre cut pork loin chops. That was how my tonkatsu weekend began. An unwrapped present is my blank canvas. It is where I let my creativity shine without even lifting a paintbrush or sculpting a lump of clay. When I found out about Well Preserved’s Pimp My Preserve in the spring, I was very disappointed that I missed out on a contest so right up my alley. Lucky for me, they are once again hosting the contest this year and I prepared my entry well ahead of submission deadline! I present you Dessert By Candy’s Pimp My Preserve Flower Pot! I set a 250mL wide mouth mason jar inside a galvanized flower pot padded with shredded Aspen wood fibres. 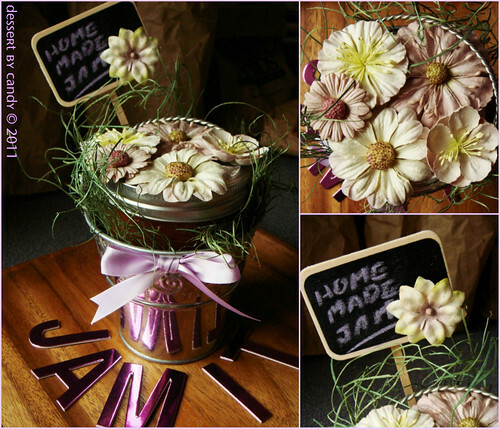 The jar lid is decked out with a riot of individual handmade blossoms. A chalkboard marker and matching lilac ribbon completes the look. I know it’s chilly outside but this bit of spring can hopefully remind us of warmer days when I made that vanilla apricot jam. Gift wrap can sometimes be a little wasteful once the recipient undress the gift to reveal the present within. Well, I’m happy to tell you this design is in fact two gifts rolled into one! The flower pot and chalkboard marker can be reused to plant some small herb. Plucking fresh rosemary from your window sill is always a treat especially in the dead of winter. A group of these flower pots would make a fantastic centre piece if you’re so inclined. I can see it being used in a spring wedding if you are already thinking of giving your guests homemade preserve as favours. Simply customize it with names of bride and groom written on the chalkboard. I encourage you to check out other contest entries at Well Preserved’s Facebook page. If you need help with voting, here are some helpful tips and directions. Of course, if you want to totally make my day, vote for my little flower pot! Last week’s Walnut Loaf totally boosted my bread baking confidence. In fact, so much so that I am breaking up with my weekly Seeduction bread from Whole Foods. The challenge, novelty, and satisfaction of making my own bread is too hard to resist now that I get to spend more time at home on weekends. 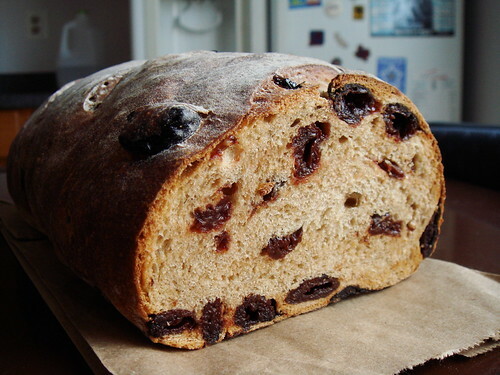 This weekend I tried another recipe from Dan Lepard, a twist on the beloved cinnamon raisin bread. 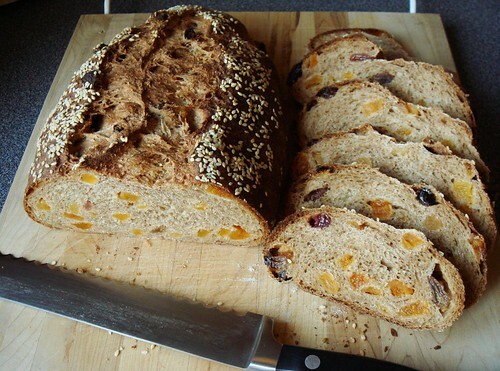 His Apricot Wheatgerm Loaf is studded with juicy chopped apricots with a moist tender crumb created by pureed medjool dates and whole milk yogurt. Since the loaf was baked, I could not resist from stopping by for a quick sniff of its sweet aroma every time I walked by. That smell of cinnamon is all that I adore about baking fruit bread. It also doesn’t hurt that this bread is drop dead gorgeous too with matching great taste!